Hey there! I'm back here in Kuching once again taking a break from the hectic training here in Terengganu. This time around, I headed for the Semenggoh Wildlife Centre which is a fourty five minute drive from Kuching. Together with a few of my friends, Faris and Xavier we started our journey early that morning. 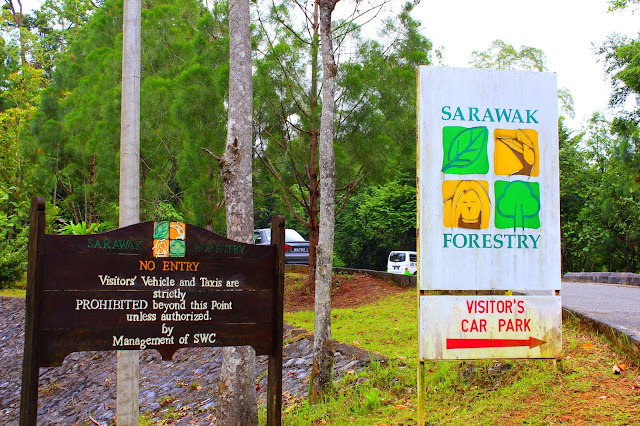 The Semenggoh Wildlife Centre is home to the orang utans, which are only found in the rainforest of the Malaysian Borneo (Sarawak and Sabah), Indonesian Borneo (Kalimantan) and North Sumatera. 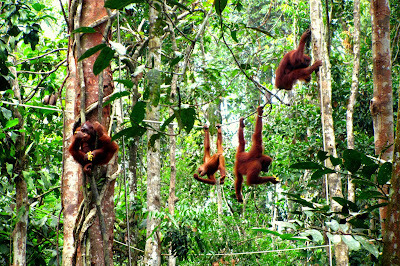 Orang utans is one of the world's largest primates and is considered to be the most intelligent primate species on earth. The word 'orang' in Malay is 'person' whilst 'utan' comes from 'hutan' meaning forest. Thus, orang utan is translated literally as 'person of the forest'. For those who are interested, there's a short clip below here just to give you an idea of how orang utans are. 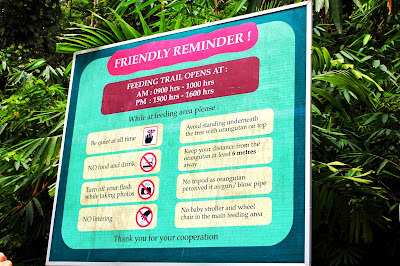 Upon arrival, we were greeted by the friendly forest rangers and were told to hurry up as we almost missed the feeding time of the orangutans. Feeding times are between 9am to 10am and between 3pm to 3.30pm. 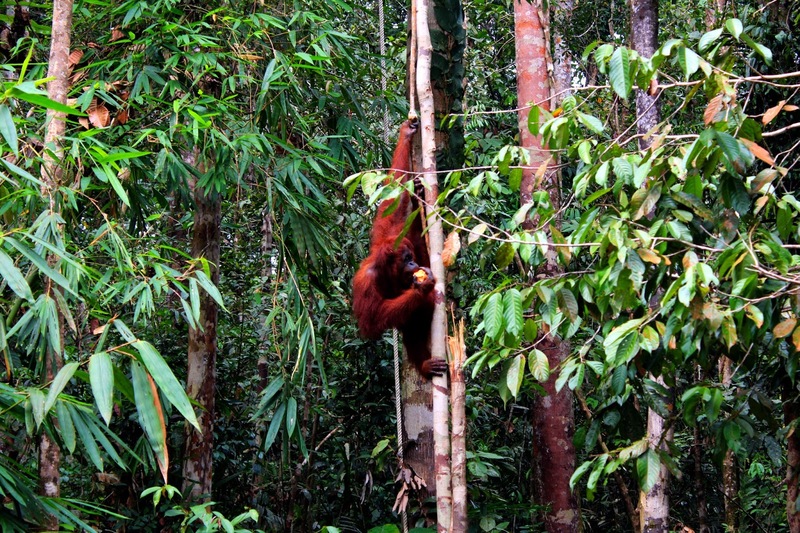 You shouldn't miss out on the feeding time as it is the only time which the orang utans are easy to spot as they come out to feed. A variety of fruits can be seen laid out on the platforms just directly in front of the visitors. We all were just amazed at how close we got to see the orangutans as they made their way, swinging from tree to tree to the platform. Also present on that day was the forest ranger which was very informative. 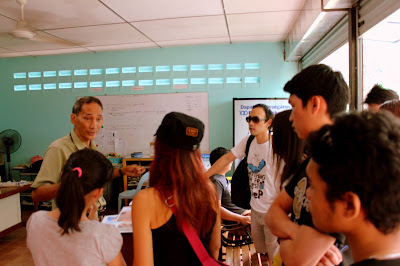 He briefed all of us on the behaviour of the orang utans and shared with us his previous experience with handling them. He also advised us to keep at least 5 to 6 feet away from the orangutans as a safety precaution. One of the wildlife centre rangers here had been attacked last year and lost his toe after being bitten by the orangutan. Upon hearing all these, we were a little bit worried and cautious. Still we were all taken in by the beauty of these creatures. One of the frequently asked questions in the wildlife centre is how to differentiate between a male and an female orang utan. 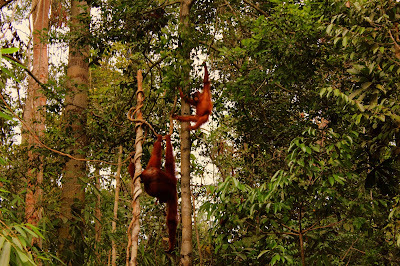 After asking one of the rangers here, it turns out that differentiating between a male and female orang utan is kind of hard. 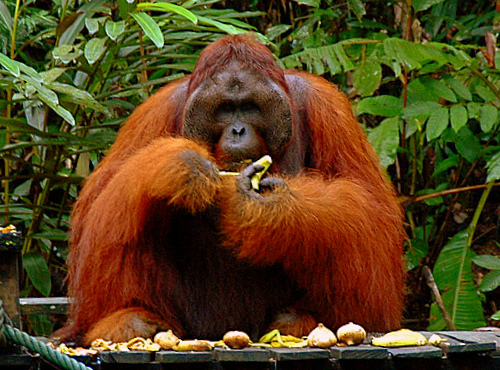 A full grown adult male orang utan has a slightly huge and large cheeks just like a Gorilla. And as for the full grown female orang utan, they have no such trademarks on their faces. 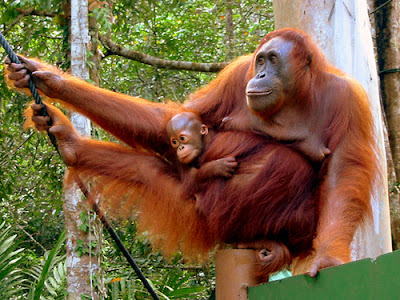 I myself can't distinguish between a male or female orang utan despite knowing the difference between them. Take a closer look at the pictures below and see if you can tell ! Being one of Kuching's hotspot, Semenggoh Wildlife Centre is Sarawak's biggest Orangutan Rehabilitation Centre covering 740 hectare forest reserve. Established in 1975 as a sanctuary for the injured and orphaned orangutans, the sanctuary aims to rehabilitate the orangutans that had been incapacitated and to release them back to the forest eventually. The wildlife centre is open daily from 8am to 12.30pm and from 2pm to 4pm. Entry fees are RM5. The oldest orang utan in the sanctuary, Seduku is 56 years old and was one of the first few pioneers to be taken into the sanctuary. 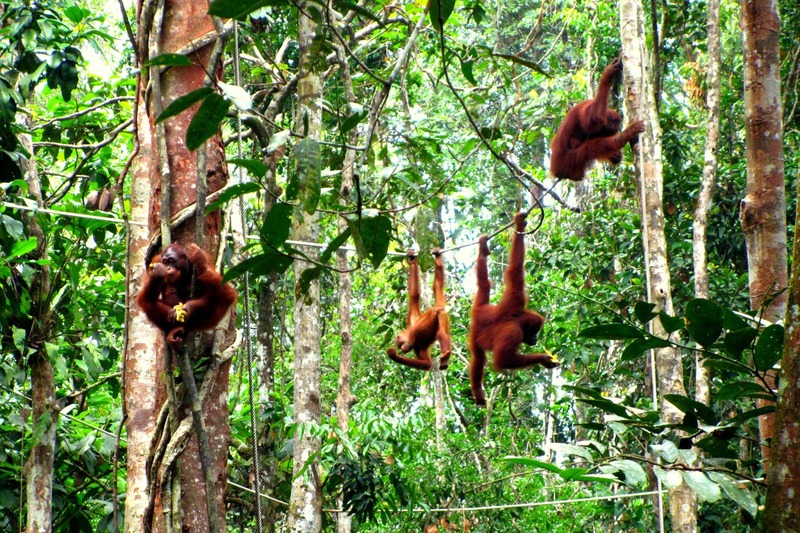 Today, there are approximately 26 orangutans in the centre. Besides that, the wildlife centre is also host to a conservation program called Heart 2 Heart with Orang Utan. The volunteers are given a guided tour of the wildlife centre before being assigned duties which include cage cleaning, food preparations for orang utans, orang utan enrichment program and so on. At the end of the day, volunteers will each receive a certificate from the wildlife centre as an acknowledgement for their contributions to the centre's activities. 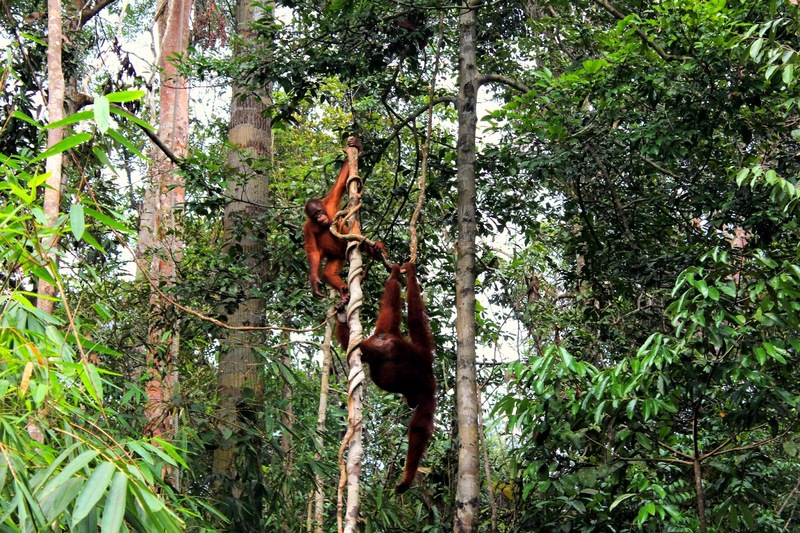 In addition to that, the public can also play a further role through the Orang utan Adoption Program, where by the funds collected are used to support conservation works. 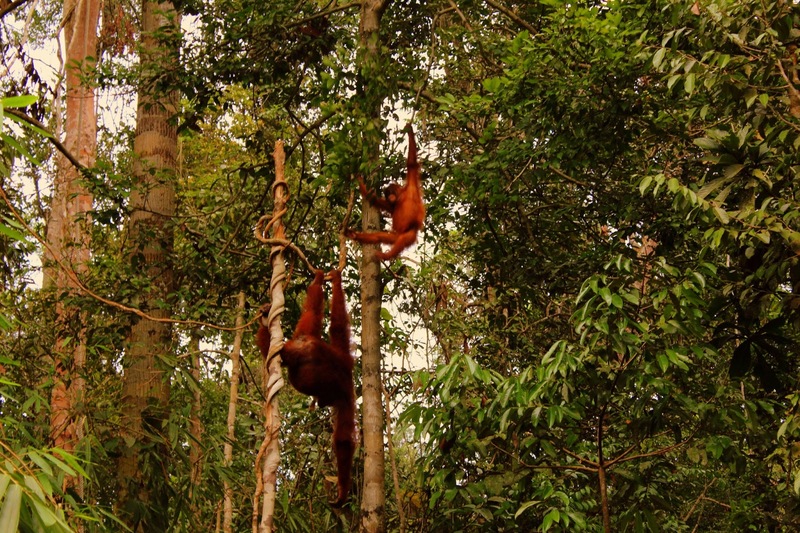 Adopters will be given updates on the progress of the orang utans and will be presented with a adoption certificate. 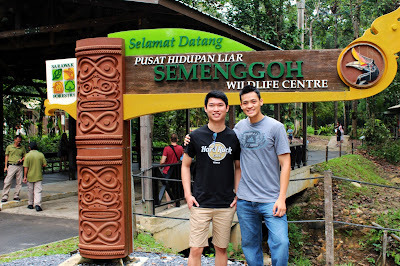 In a nutshell, we had a great time taking pictures and learning more about orang utans. 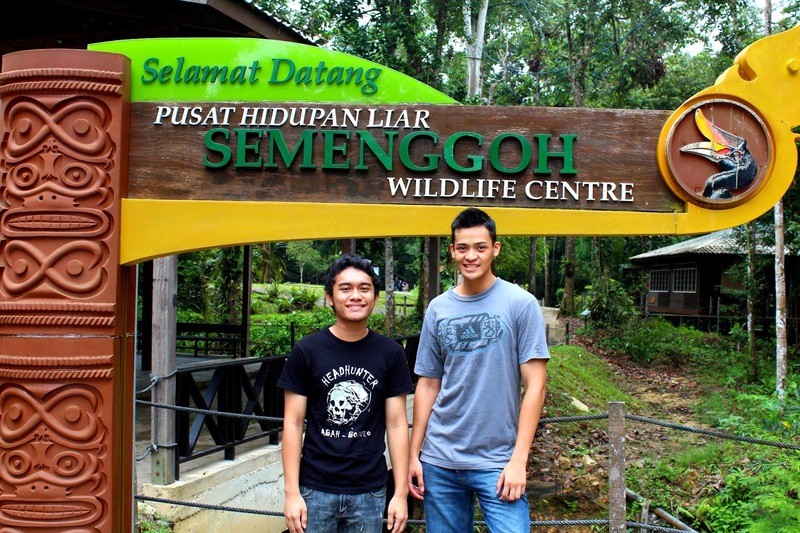 From what I can see, Semenggoh Wildlife Centre has played a huge role in educating the public on orang utan conservation. The trip here was worth while and we definitely enjoyed ourselves here and look forward for the next trip here. That's cool dude!! The Orang Utan reminds me of Ahmeng in Singapore zoo ages ago where you can have breakfast and tea with it for a fee!! really? wow you can have breakfast and tea? thats nice ! Wow that's cool!! 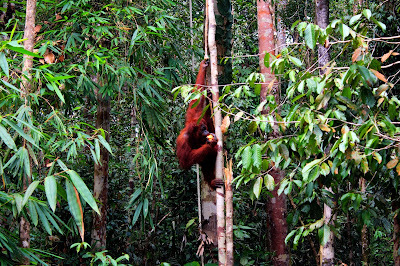 U can actually see orangutans at a close range.